Thank you for taking the time to leave us a review and we enjoyed working with you as well! We hope you are enjoying your new space! Hello Mr. Manes - Thank you for taking the time to leave a review. Damasco just finished a roof deck project at my home and I could not be happier. 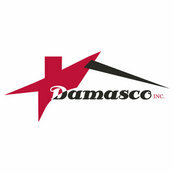 Hello and thank you from the entire Damasco team! We really appreciate you taking the time to write your review and it was a pleasure working with you. On behalf of the entire Damasco team Thank you for taking the time to write a review. It was a pleasure to working with you and we hope you to work with you again in the future. On behalf of the entire Damasco team we would like to say Thank you! We all enjoyed working with you and look forward to working together again in the future! a real pleasure to be part of their projects. What a great team! Lynda and Richard have been working with us for years and have helped many of our clients realize their dream kitchens. It is a pleasure to work with such talented people.